Randall Packer is internationally recognized as a pioneering artist, composer, educator, and scholar in the field of multimedia. His work has been exhibited at museums and galleries throughout the world including Europe, Asia, and North America. He is Assistant Professor of Multimedia at American University in Washington, DC. His book and accompanying Web site, Multimedia: From Wagner to Virtual Reality (W.W. Norton 2001 / www.artmuseum.net), has been adopted internationally as one of the leading educational texts in the field. He is concerned with the aesthetic, philosophical, and socio-cultural impact of new media in an increasingly technological society. In 1988, he founded Zakros InterArts and has since produced, directed and created critically acclaimed new media performance, installation, and net-specific works. 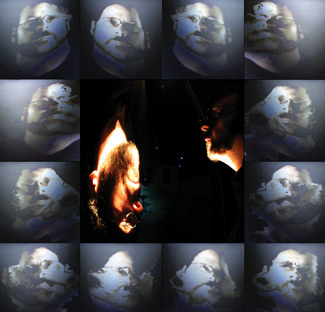 His sound installation Mori was selected for the 1999 Biennial Exhibition at the InterCommunication Center (ICC) in Tokyo and included in the Telematic Connections: A Virtual Embrace exhibition that toured the US (2001-2002). He founded the virtual government agency US Department of Art and Technology (www.usdat.us) in 2001, which proposes and supports the idealized definition of the artist as one whose reflections, ideas, aesthetics, sensibilities, and abilities can have significant and transformative impact on the world stage. In 2003 Mori received its New York debut at the Kitchen. His net project, the Telematic Manifesto (1999), was included in ZKM’s (Center for Art and Media, Karlsruhe, Germany) Net_Condition exhibition and has been featured on the Website of the Walker Art Center.